Ben Rivera beat his old team the Braves in June 1993 by throwing a seven-hitter, The Associated Press wrote. The Philadelphia Phillie told The AP he treated the win against the team that traded him away the previous May like any other. "I just go out and do my best against everybody," Rivera told The AP. That win was one of 13 Rivera picked up that year, his second in the majors. He picked up three more the next year. Though he later saw two seasons in Japan, those three 1994 wins were also his last in the majors. 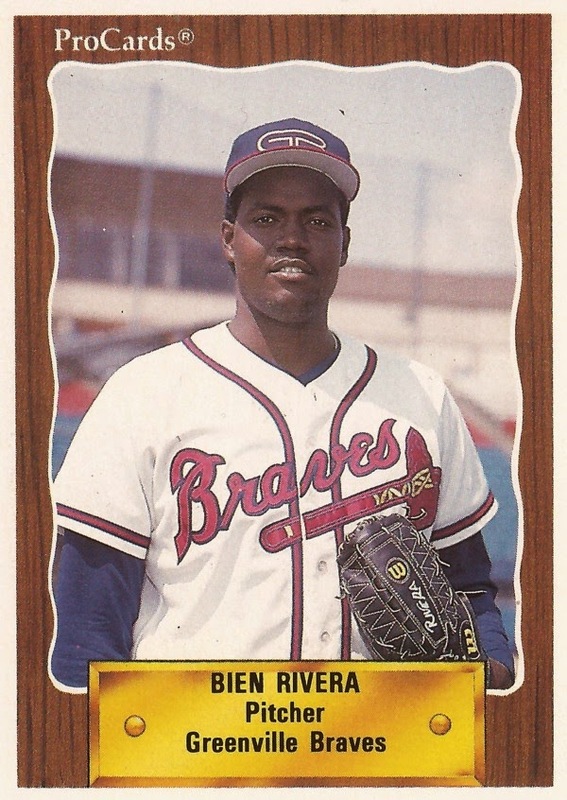 Rivera's career began in 1987, signed by the Braves as a free agent out of his native Dominican Republic. Rivera has also been credited as Bien Rivera. He started in the rookie Gulf Coast League. He moved to single-A Sumter in 1987. He went 9-11, with a 3.17 ERA. Rivera made AA Greenville in 1990, playing there full time in 1991. It was in 1992 that he made Atlanta. Rivera debuted with the Braves April 9. He got into eight games in relief, with a 4.70 ERA. He was then sent to the Phillies. He went 7-3 the rest of the year in 20 outings, 14 starts. The next year, Rivera found a home in the Phillies starting rotation. He started 28 games for the league-winning team, going 13-9. He had a 5.02 ERA. Rivera won five decisions in a row at one point, winning the fifth in early July. "I'm lucky because every time I go out the guys score a lot of runs for me," Rivera told The AP. That postseason, Rivera got one relief outing in the NLCS and one in the World Series. Rivera returned to the Phillies for nine more outings, seven starts, in 1994. He had a 6.87 ERA. Rivera then didn't play in 1995 due to injury. He returned in 1996 with the Expos at AAA Ottawa. He played 1997 in Taiwan and then 1998 and 1999 in Japan with Hanshin. Over 73 outings in Japan, Rivera had a 1.84 ERA. Rivera then continued playing. He is last credited as playing in 2006 in Mexico, ending his career.